He was born on July 10, 1950, in Beaver Dam, Wisconsin, the son of Reinhard and Elda (Ruenger, Ketelhohn) Kurth. 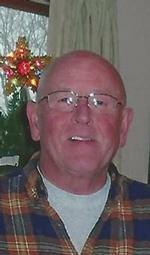 John graduated from Waupun High School in 1969. On April 17, 1971, John married Jo Ann Hampshire. He was past president of the Payne's Point Hook and Spear Fishing Club. For 40 years John was a proud Journeyman for Local 18 Sheetmetal Workers. He loved to hunt, fish, and Sturgeon spear for the big ones. John enjoyed pheasant hunting with his English Springer Spaniel, Gracie. He will sadly be missed by his wife of 47 years, Jo Ann. John is also survived by his siblings, Adrian (Mary) Kurth, of Brown Deer; Lois James, of Nevada; Merle (Mary) Ketelhohn, of Mayville; June Sumnicht, of Rubicon; Claudette (Harold) Spolum, of Greenfield; Nancy North, of Green Bay. He is also survived by his sisters-in-law, Linda (John) Bornheimer, of Kimberling City, Missouri; Nancy (Ken) Breezer, of Woodruff; and Susan (Brian) Baley, of Cazenovia; and numerous nieces, nephews, other family members, and friends. John was preceded in death by his parents; his father-in-law and mother-in-law; sisters, Susan Kurth and Joanne (Junior) Rau; three brothers, Lawrence Ketelhohn, Leslie (Evon) Ketelhohn, and Bill (Anne) Kurth; brothers-in-law, Bob James, Junior Sumnicht, and Charles Hampshire; and three nephews: Mark, Alan, and Michael. As per John's request, there will be no visitation or funeral service held. A special thank you to Dr Brad Heraly, the staff at the Michael D. Wachtel Cancer Center, and the hospice care team from Ascension At Home for their compassionate care; such wonderful people to have at your side in a difficult time. Mueller Funeral Home of Winneconne is serving the family. Im so sorry to read about Johns passing. He was such a kind man. I can only imagine how hard this must be for you. You are in my thoughts and prayers. John and Susan are smiling down on us. Jo, so sorry for your loss. My thoughts and prayers are with you. My sincere sympathy to you and your family. I was a classmate of John and will remember as a thoughtful, kind person.